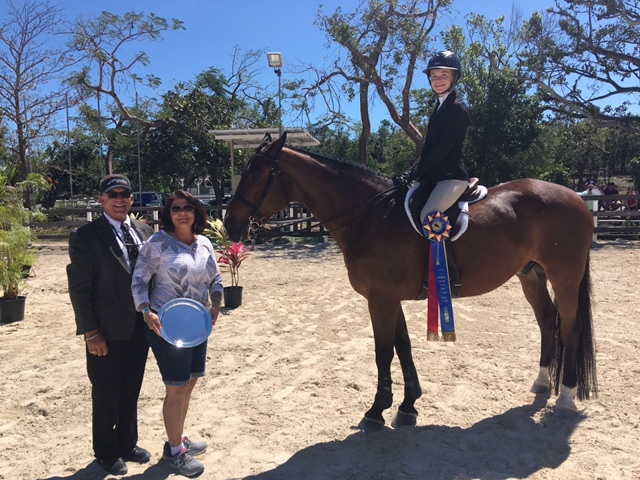 Thank you to the Rotary Clubs of New Providence for their continued generosity, and to all the riders, trainers and spectators who came out to participate in the 14th Annual Rotary Horse Show on March 11-12. 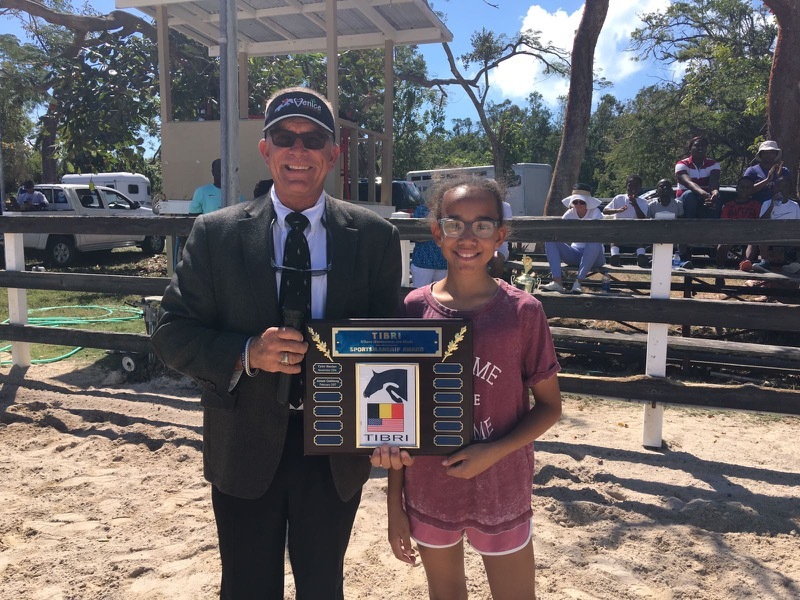 Held at Camperdown Equestrian Centre, the show was judged by Clay Farrell of Venice, Florida. 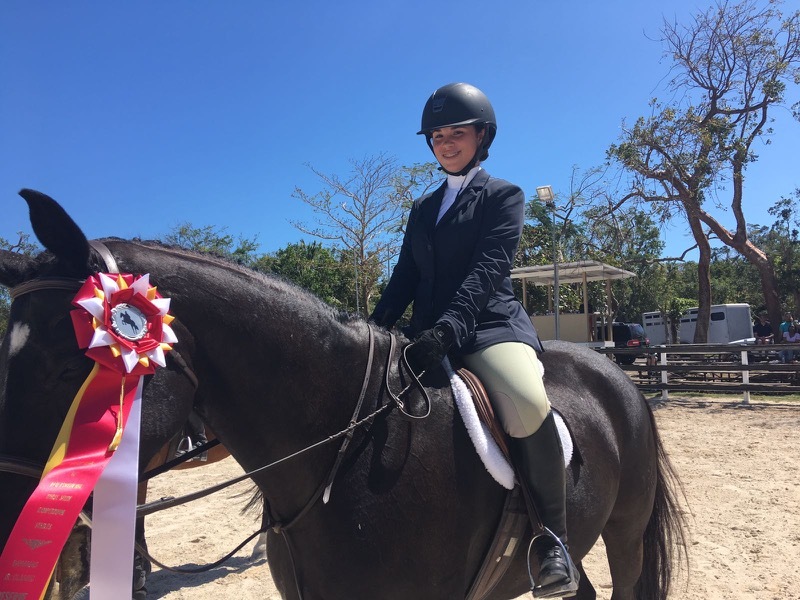 In this last rated show of the season, our young riders showed their very best – Mila Sands won the Judge’s Choice Tibri Sportsmanship Award, and Taylor Haines captured the overall High Point trophy. The show also featured the exciting two-part finale of the Bahamas Junior Classic. 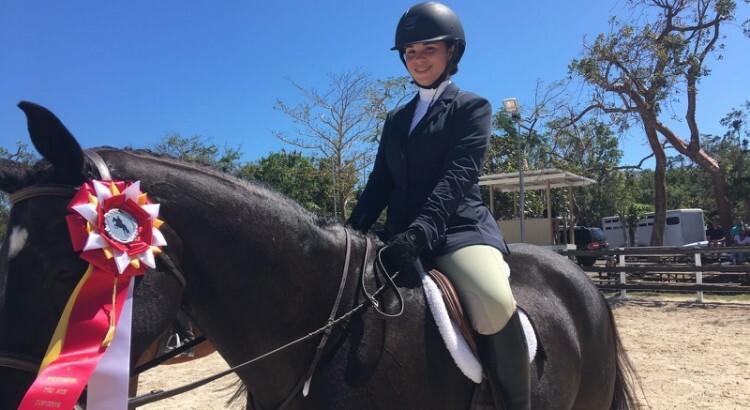 Siena Holowesko aboard Erika Adderley’s Valhalla led after the Hunter phase on Saturday, especially remarkable since she was forced to change mounts at the last minute when her regular ride, Gandolfe, went lame. 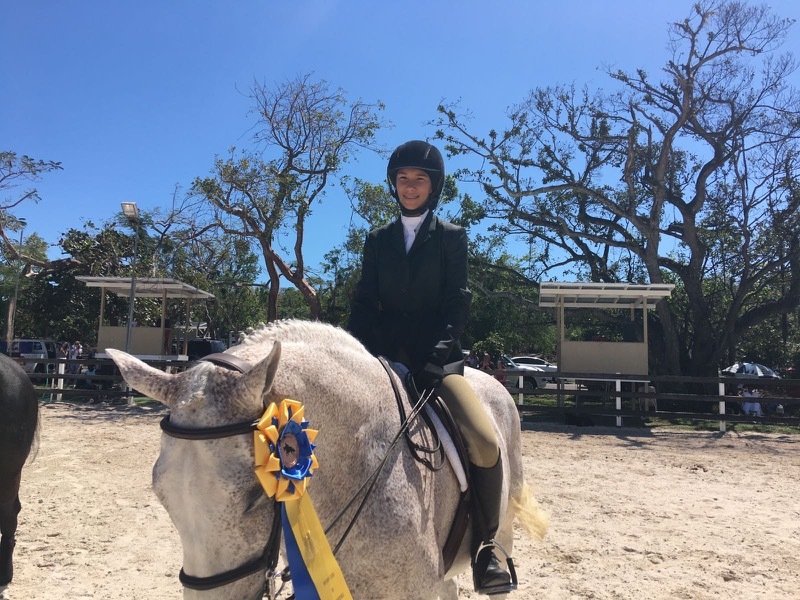 On Sunday, Maya Tilberg aboard Dehlia mounted a challenge with a fast and flashy Jumper round – but in the end, Siena prevailed to win the Classic. Maya was second, and Carisa Brogdon aboard Kim Johnson’s Sterling Silver was third. 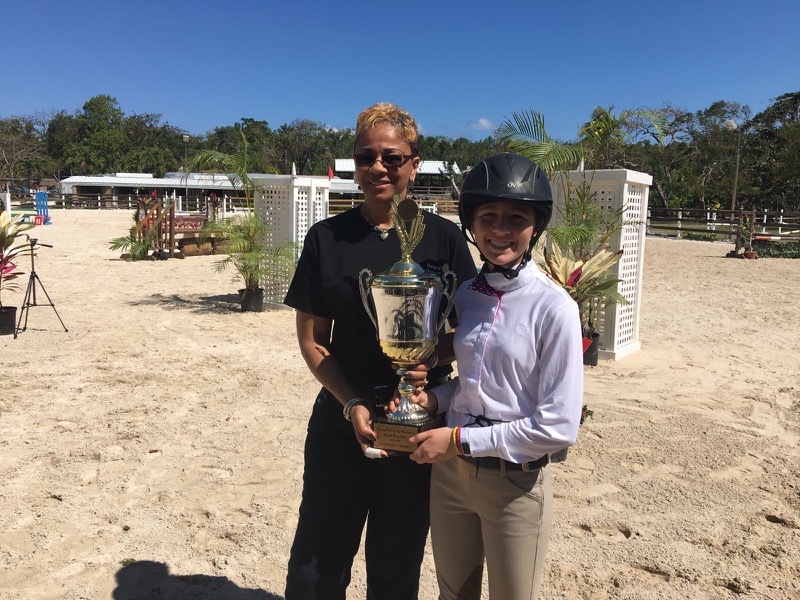 Now that the regular show season is over, our young riders can look forward to one more exciting experience – the Bahamas Interschool Equestrian Championship Event, which will take place on Saturday, April 29, at Camperdown Equestrian Centre. Coaches are currently in the process of team selection, and riders can look forward for the first time to a team event where they will represent their schools! Stay tuned for more information, which will be coming soon!